Fill a large pot ⅔ full with water. Salt the water and bring to a boil. Peel and chop half an onion and measure out ½ cup. Add the broccoli to boiling water when ready then lower the heat to medium-high and let it cook uncovered for 4 mins. In the meantime, shred the fontina and grate the parmesan. When the broccoli is ready, drain. Rinse the broccoli with cold water to stop the cooking. In a small saucepan (because it’s not Too Much Sauce), melt 2T of butter over medium heat. Stir in onions and garlic. Let em sit for 3 minutes. Add in flour and stir to combine. Let that mixture cook for a New York Minute. Add milk to the pot, whisking constantly. Cook over medium-high heat for about 5 minutes. Continue to whisk and watch it start to thicken. Turn off the heat and add Fontina until it is blended smoothly. Add salt-n-pepa. Stir. In a small bowl, make topping by combining the Parmesan and bread crumbs. Ladle some cheese sauce into the bottom of a 1 ½ quart casserole dish to cover. Pat broccoli dry with paper towels and add all of it into the dish in an even layer. Pour the rest of the sauce all over the broccoli. Sprinkle topping over it all evenly. 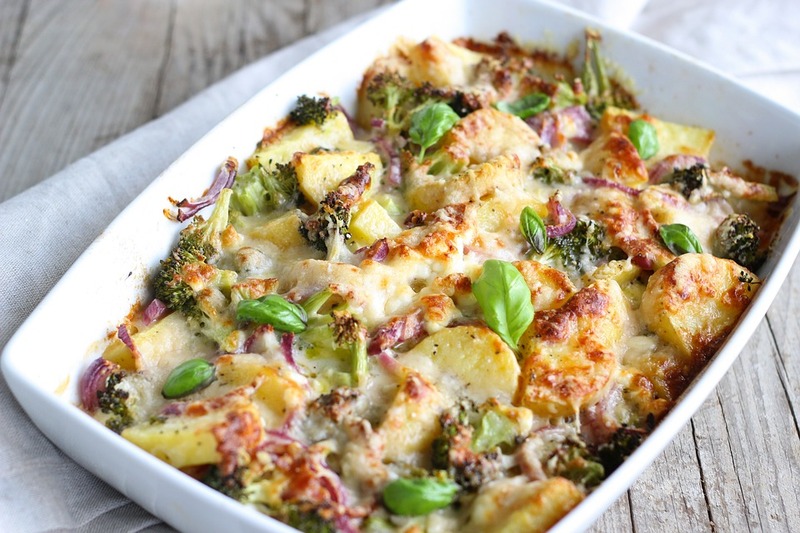 Bake the gratin for 20-25 minutes uncovered. When it’s ready it’ll be golden brown on top. Sprinkle some red pepper flakes for added heat and serve. *Recipe inspired by D.R.A.M. & Lil Yachty’s “Broccoli” with special appearances by Salt-N-Pepa, French Montana & Jadakiss, and DJ Esco.